Greeting cards can be used in so many different styles and fashions – whether it’s new neighbours, a birthday, seasonal greetings or even a promotion – and this is what makes the variety of the cards we offer so special. You can get a quality, hand crafted card with unique artwork and a close, delicate touch added to each card for any occasion. We sell a wide selection of cards to give you as many different feels and styles as possible, to make your card picking job as easy as it could possibly be. Greeting cards are mass-produced mainly but we try and create small batches of unique designs so that you get the best chance possible to find something that genuinely suits what you are looking for. Whether it’s an anniversary card, a promotion for a friend or something a bit more dramatic like a new child being born, we provide you with a list of hand-crafted cards that tell a rich story as well as bring a unique craft and charm to proceedings. 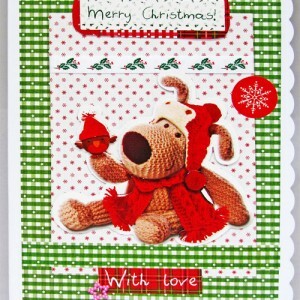 If you are looking to pick up affectionate and personal greeting cards, then you have come to the right place. We can help you do just that, and with a nice selection of cards in different styles, themes and colours you can get something just right for whoever it is you wish to provide greetings for. Greeting cards have been used for many years now and brings a huge deal of inspiration from many old civilizations and cultures long since passed. If you want to pick up a greeting card that tells a different story from all of the generic ones you have considered, then Your Crafts Fair can provide you with what you are looking for.